Bluetooth’s recent announcement of expanding its protocol to include mesh networking is bound to be very exciting for Internet of Things (IoT) solution providers. An evolving protocol since 1994, earlier Bluetooth versions had progressed with faster data speeds and other relatively minor improvements until 2010 when Bluetooth 4.0/BLE (Bluetooth Low Energy)/Bluetooth Smart was released and adopted by most smartphones. 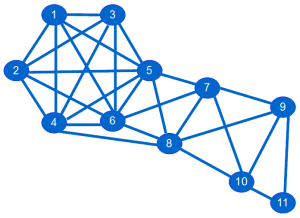 Current Bluetooth protocol variations are based on a “one-to-many master/slave network“ topology, which has the advantage of being very power efficient. A previous improvement to the protocol allowed a device to act as a slave in one network and a master in another, allowing for very basic but limited inter-network connectivity. A “mesh network” is a very different type of network compared to the one-to-many master/slave network. It allows for many-to-many IoT connectivity and creates network redundancy (with dynamic packet routing) and increases the coverage area. Examples of networks that use mesh technology include ZigBee and WirelessHart. The devices that support mesh connectivity have the unfortunate trade-off of not being as power efficient as the one-to-many devices like Bluetooth devices. Mesh devices are typically always on/network repeater devices. It has been up to the conflicted system designer to make the difficult decision of choosing between two very different protocols: a variant of one-to-many (usually Bluetooth Low Energy/Smart) that offered low power usage and mesh network (like ZigBee) that offered redundancy and greater coverage with mesh network. In the end, Bluetooth Smart became the standard as the wireless link between smartphones and external devices. ZigBee found its niche for providing a robust (and sometimes path redundant/fault tolerant/mission critical) local area networking of complex/multiple sensors. Neither has been very suited for the type of applications the other protocol excels at. The announcement that Bluetooth is currently pursuing a standardization and evolution of its protocol to include mesh networking may end up providing the best of both worlds for designers. What do you think is going to happen? 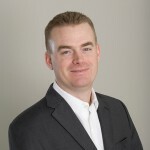 Stephen Powell is Market Analyst at ORBCOMM.